If you know me then you’ll know I love afternoon tea and I’ll honestly never get sick of teeny tiny sarnies and cakes. However, I do get how some people might find them a bit samey after a while, so when I was asked to review this rather different afternoon tea in Birmingham, I was very intrigued. Pan-Asian restaurant Chi Kitchen now offer a unique Asian Afternoon Tea, and I popped along last weekend to try it out. 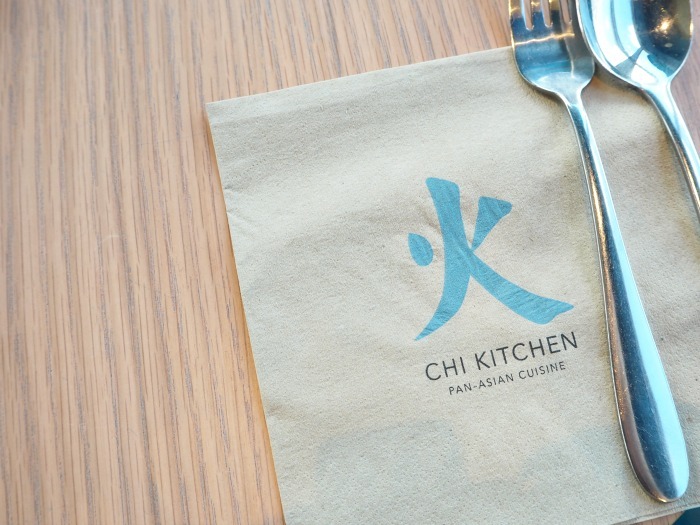 When I arrived at Chi Kitchen, I wasn’t really sure what to expect. As it’s located at the back of the Debenhams shop in the Bullring, I half thought it would have a bit of a cafe vibe to it. But this was tuh-otally wrong; it’s a full restaurant and champagne bar and, once you’re inside, you completely forget that you’re even in a Debenhams. Floor-to-ceiling windows give views over Birmingham city centre, and the staff are really friendly and welcoming from the get-go. We were offered the normal afternoon tea or the Prosecco version. 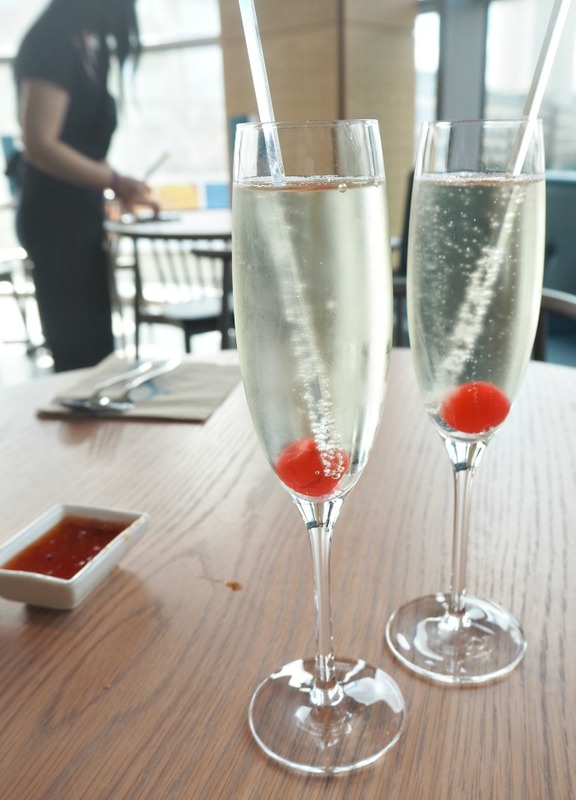 Obviously Lauren and I never miss a chance for a drink (Sunday funday after all), so we opted for the Prosecco. 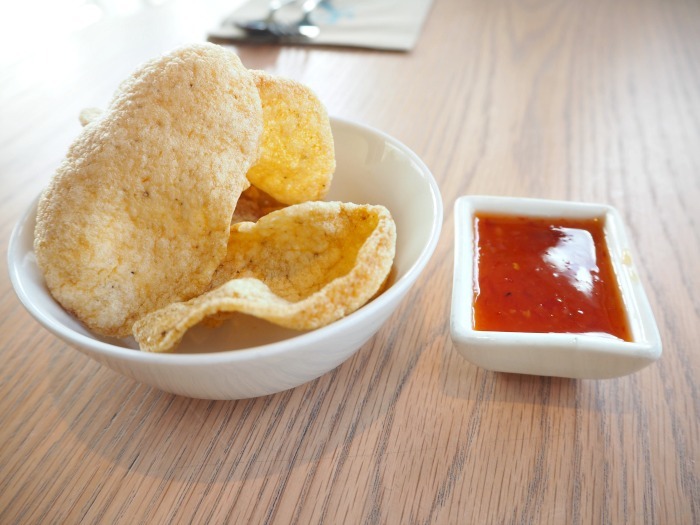 We were brought some prawn crackers and our drinks, and then a few minutes later the amazing afternoon tea arrived. I was expecting there to be just the one between us as there was so much food and the portions were really big – but no, another cake stand arrived too. Humina humina. 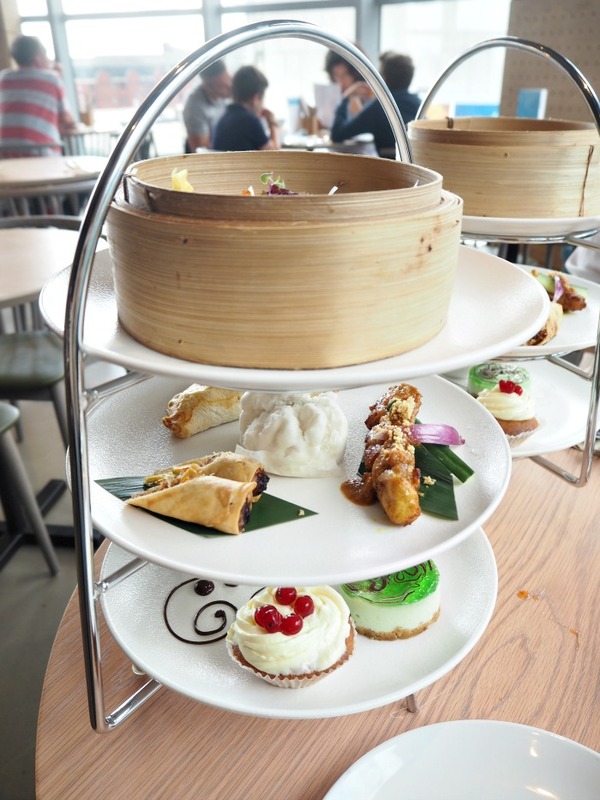 There were three tiers to the afternoon tea cake stand, each with a range of Asian treats. On the top tier was a prawn dumpling, prawn and chive dumpling, chicken and prawn siu mai dumpling and chicken and mushroom fried wonton. I swerved the two very fishy dumplings as I’m not a big seafood fan, but Lauren assured me they were delicious. On the next tier was a Malaysian curry puff, a chicken bun, vegetable spring rolls and chicken satay. This was all amazing, and after that I was feeling really full as the portions were so decently sized. But of course, there’s always room for the pudding plate. AND WHAT A SELECTION OF PUDDINGS THEY WERE. By this point, we replaced our Prosecco flutes for a couple of pots of English breakfast tea, and then we went to town on the desserts. 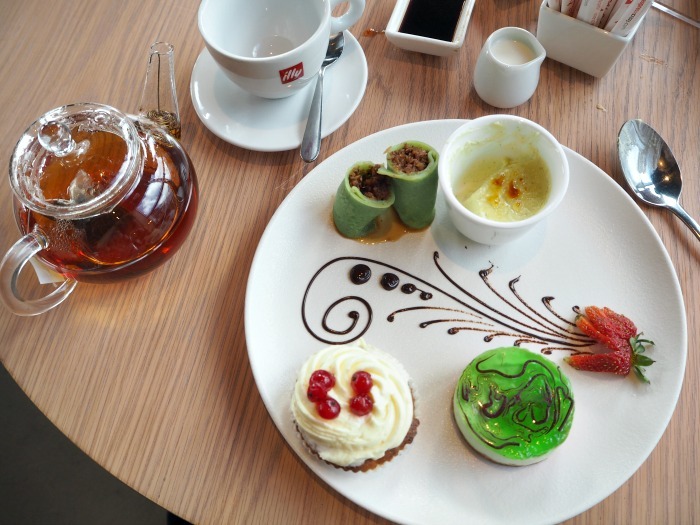 These included coconut pancake rolls, green tea cheesecake, banana cake and – my personal favourite, as you can tell from the above photo where I’d already started demolishing it – pandan panna cotta. Oh lawwwwd. I think I’ll have dreams about that panna cotta for years to come. By the time we finished, I felt like they were going to have to break those floor-to-ceiling windows to lift me out of the Bullring via crane as I was SO FULL. But it was absolutely fantastic, and I fully recommend the experience to anyone looking for a quirky, alternative afternoon tea in Birmingham. I believe that the price for the Asian afternoon tea is £15.95 per person, or £19.95 for the Prosecco version. 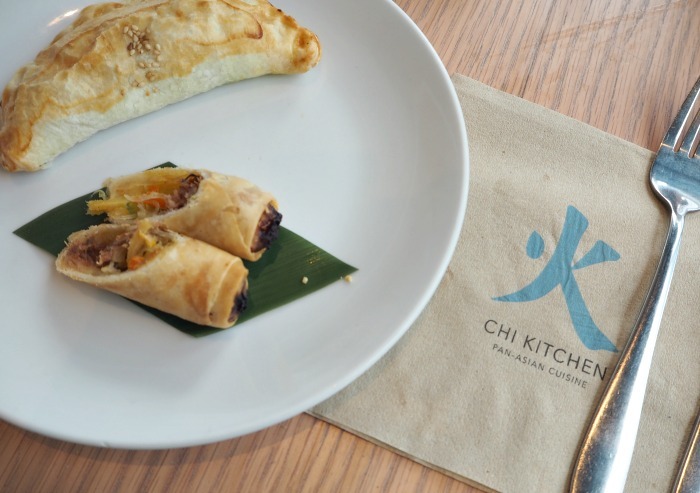 Chi Kitchen as a whole was lovely, and the staff were so attentive, polite and helpful. I definitely plan to go back to try out the main menu, and I’ve also heard very good things about the cocktails. And if they sell that panna cotta as a single dessert then yeah, I’ll have about 15 to take away please. 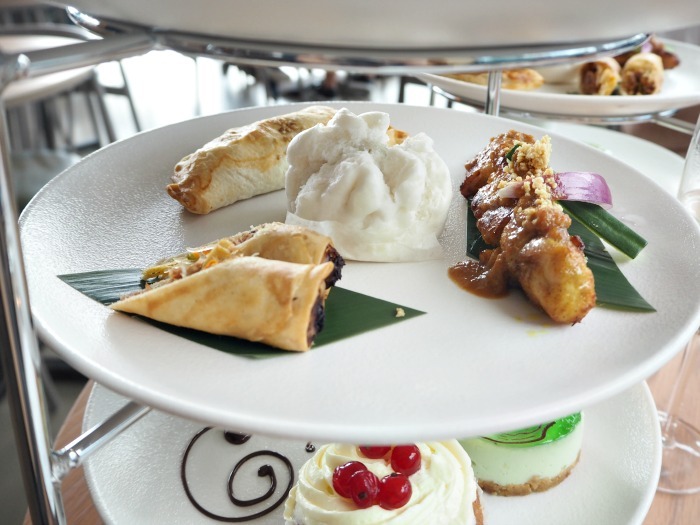 Have you tried an Asian afternoon tea before, or would you like to? Let me know in the comments!